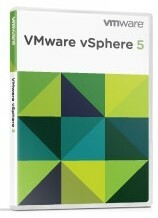 You might be aware that General Support for VMware vSphere 5.0 and 5.1 ends in about 4 weeks at August 24th. If not, I encourage you to use my VMware Product End Of Support Countdown to keep an eye on EOS dates (It also supports ics based calendar reminders). 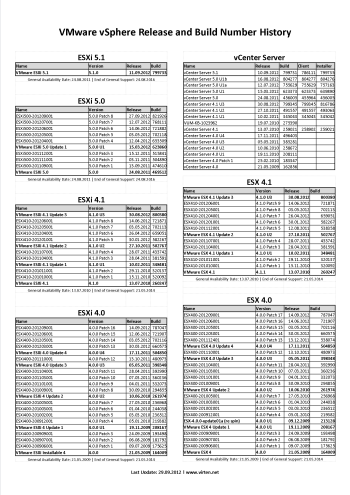 If you are not running on ESXi 5.5 or ESXi 6.0, it is time to upgrade now. Prior to upgrade, please check VMware Compatibility Guide (HCL) to verify that your server is supported for the targeted vSphere release. 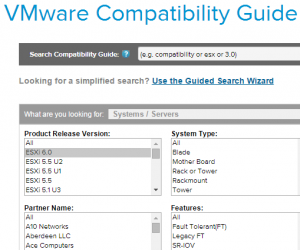 VMware has published a patch for ESXi 5.0. There have been many rumors about the N40L supporting 8GB modules which enables the server to use up to 16GB of memory. This would be a great enhancement, especially with the new vSphere 5.1 where the many appliances requiring more physical memory. First of all, the 8GB modules are not supported by HP so upgrade at your own risk.